Imtiaz Mahtab is currently Regional Managing Director of Electronics at Air Liquide Middle East & North Africa, and an executive member of its MENA management team. Imtiaz has over 18 years of executive leadership roles internationally in the management of businesses in industrial gas, Energy and High Technology sectors. 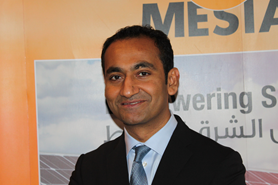 He is currently on the advisory board of various Renewable Energy and High Technology startups in the MENA region including KSA, and has been actively involved in the ecosystem development of the related sectors together with various stakeholders (Regulators, Investors, University, R&D, OEMs, EPC…). Imtiaz is a graduate of Harvard Business School, and has a bachelor degree in Chemical Engineering from University of Texas, Austin in USA. He is currently based in Dubai.